REimagiNE Waste 3, the annual four-day hackathon on Waste Management organised by Waste Impact Trust, and the Centre for Product Design and Manufacturing (CPDM), Indian Institute of Science (IISc) in partnership with United Way recently concluded in the city. With the theme of 'Waste, Water and Livelihoods’ this year, the hackathon was divided into two phases and served to identify low-cost, high-impact, inclusive solutions to the problem of water waste in Bengaluru. The event saw a strong participation of over 150 applicants divided in 29 teams at the end of the first two days. Participants ranged from students to retired people along with entrepreneurs, technocrats and innovators who were guided by over 25 mentors and 30 domain experts. Four winners took home prizes totaling Rs 2.5 lakh. ‘Rakshak’, an interdisciplinary team of six that presented an affordable platform for detection of poisonous gases, took home the winning prize of Rs 1 lakh, followed by team ‘Flow Tensor’, which won the second prize of Rs 50,000 for their solution of a system for managing inlets into water bodies. While ‘Wattage from Sewage’ won the third prize of Rs 25,000 for their innovative concept of generating electricity from sewage, a special prize of Rs 75,000 was reserved for Waste E-Preneurs for their promising solution of preventive monitoring of manholes using a city-wide, low-cost, low-power wireless sensor network. 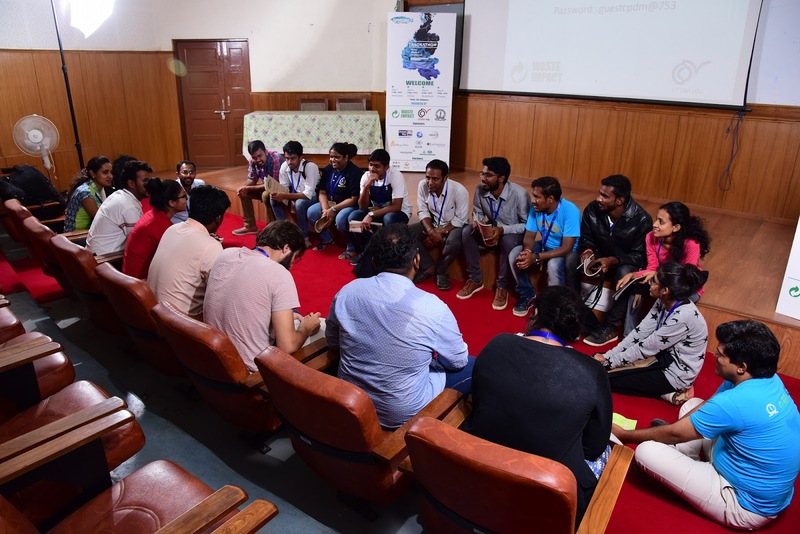 While the hackathon spread across four days and two phases concluded, there is a 45-days challenge that will give an opportunity to all participants to refine, relook and redevelop their solutions to create workable ideas for water waste management. “The highlight of this year’s REimagiNEWaste3 was the participation of an eight year old, 11 year old and a 14 year old boys who came up with a workable and practical solution of making a device that can create mini whirlpools to remove floating waste from water bodies. It was a thrilling experience to see ‘Domain Experts’ such as Safai Karmacharis and persons who work in maintaining the lakes work together with the highly educated to come up with innovative and inclusive solutions for the day to day problems faced by them. We look forward some of these solutions being implemented on the ground” said Gayitri Handanahal, the founder of the Waste Impact Trust and Lead Organiser of the REimagiNE Waste event. “We now intend to take this event to the next level and come up with some exciting and interesting solutions to trivial challenges in the coming editions of the event” She added. 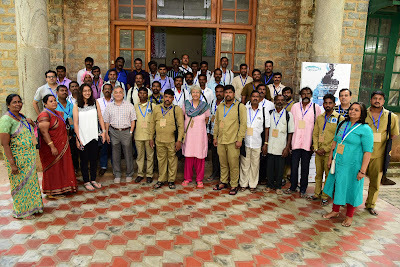 REimagiNEWaste3 was brought together by support of United Way, Earthwatch Institute, ELCIA, ITC WoW, Navya Disha, Wipro, Novozyme and in partnership with Bengaluru Lake Federation and Biome.